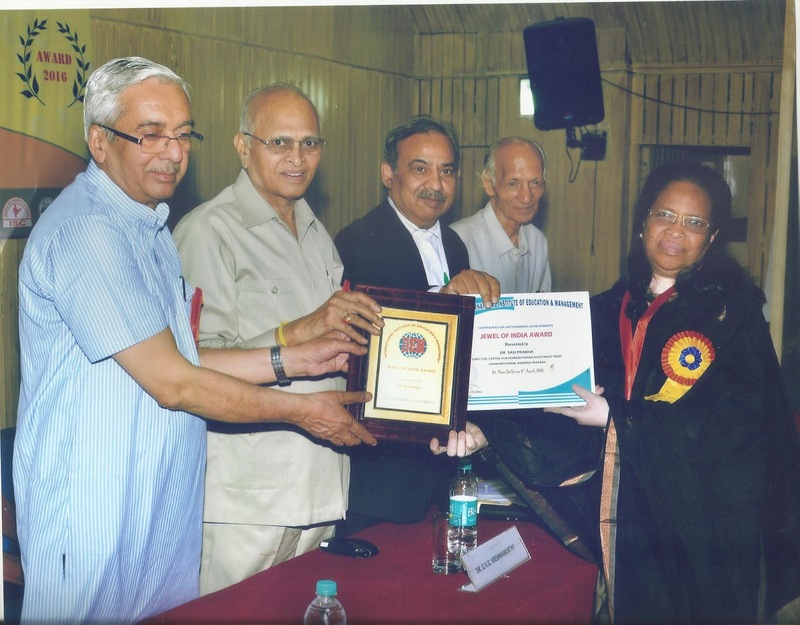 Dr. Sasiprabha Stanley a renowned Christian activist bagged two 'National Titles' recently in the fields of social work. The International Institute of Education and Management titled her as 'Jewel of India' and the Indian Solidarity Council has titled her as 'Mahila Rattan' (Diamond Woman) recognising her 35 years of grass-roots holistic development engagements against Poverty, Malnutrition, and Child Labour, and contribution to Adivasi and Dalit Women, Gender Justice, Girl Child Protection, Rural Child Development, Youth, Child Focused Community Development initiatives, Land, Water, Forest, and Eco-justice initiatives. She has also worked with Church and NGOs for empowerment and development of the marginalised communities. Dr. Sasiprabha was on several Government committees and Boards. She was the convener of the District level Non-governmental organizations federation and served as a Wild Life Warden in Koraput District, Odisha. She also served as the Chairperson of the Women's Desk, Division of Social Action and Treasurer of the United Evangelical Lutheran Churches in India. She also served as a member of the Council of Gurukul Lutheran Theological College and Research Institute, and of the Board of Directors, Canadian Lutheran World Relief (CLWR). 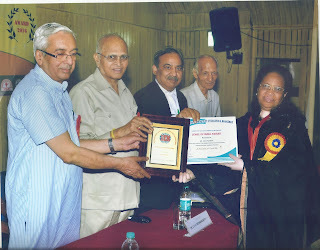 Recognising her committed grass-roots activities among the Adivasi and Dalit Women and Children, the Academy of Ecumenical Indian Theology and Church Administration honoured her with Doctor of Divinity under 'honoris causa' in 2004. She was also on the Staff team in the Andhra Pradesh Council of Churches from 1980 -82. Dr. Sasiprabha initiated 'CeFHA' (Centre For Humanitarian Assistance) an NGO at Visakhapatnam that promotes and defends Children, Gender and Earth Rights. Prior to this enagagement, she was serving as one of the Directors of the Integrated Rural Development of Weaker Sections in India from 1982. Born on 11.12.1956 at Visakhapatnam to Mr.K.Elisha and Mrs.Sarojini, Dr. Sasiprabha completed her Masters in Social Work (MSW) from Andhra University. She got married to Dr. William Stanley son of Mr.Masilamani and Mrs. Suseela of Tindivanam, Tamilnadu and started her work with Adivasis in Koraput area. She is a member of Church of South India, St. Paul's Church, Visakapatnam.